Every Day…Best AYCE Soup & Salad Bar in Town…Daily from 11a-3p…$6.99: Featuring 2 Homemade Hot Soups, a variety of sides, lettuce salad, spinach, and all the fixins, desserts, dessert fluffs, and puddings. Friday: Broasted Chicken, Walleye, & Salmon Patties. Hot lunch buffet from 11-2p featuring Salmon patties, Walleye, & (TBA…changes week to week) ($9.99 includes drink). 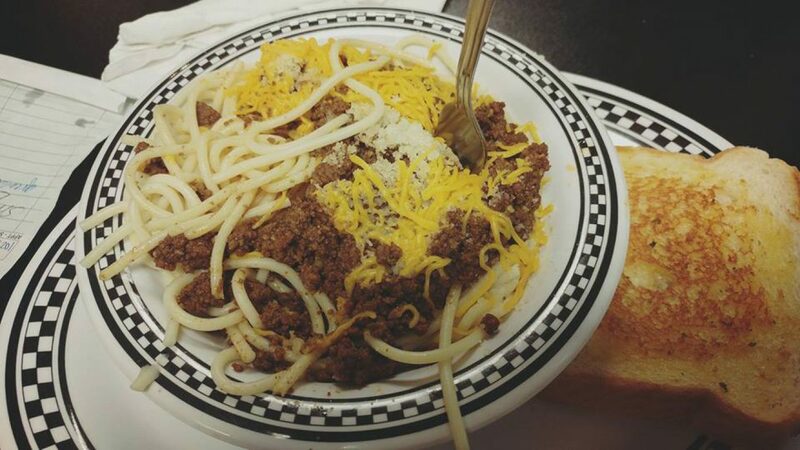 Saturday: All You Can Eat Old-Fashioned Chili Mac, & Breakfast Buffet from 7am-2pm ($7.99 til 11, then includes drink and soup & salad bar until 2pm for $9.99). Sunday: Breakfast Buffet 7am-1030am ($7.99). Hot lunch buffet 11am-2pm featuring Turkey & Dressing, Broasted Chicken, Chicken & Noodles, & BBQ Country Pork Ribs ($10.99 includes drink).